Would you Wear this: Booty Buddy Blanket? 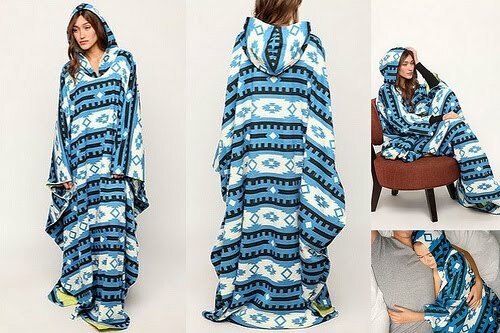 Urban Outfitters just came out with this "Booty Buddy Blanket." It just looks like a snuggie with a hood to me...except that it's more expensive. The Booty Buddy Blanket can be yours for $68. Would you wear this?